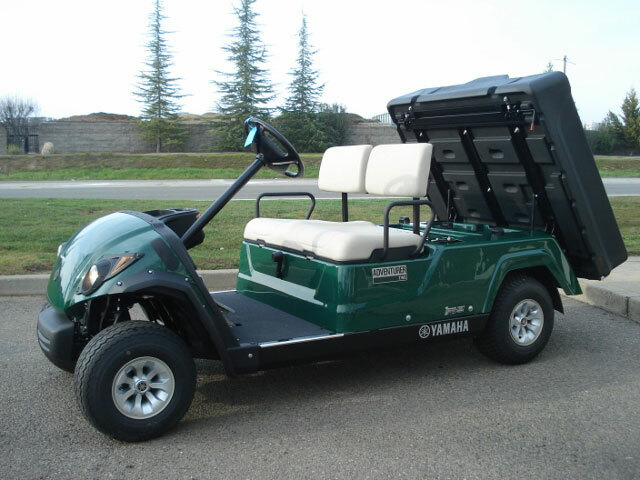 Utility vehicles for cargo hauling or transportation vehicles for passenger moving are available in used, reconditioned, or new models. 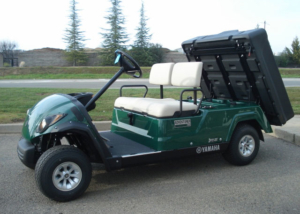 Cargo box options are available as fixed or dump bed, and transportation models can be configured in a variety of ways; a rear facing seat option on any vehicle is typically fold-down into a flat bed. Please call our knowledgeable staff for help determining the right vehicle to fit your application and budget. 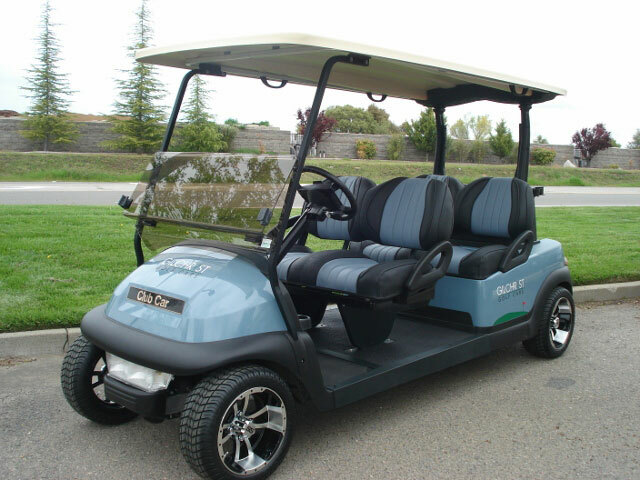 We have a lot of experience with purchases and rentals in a variety of uses, so we can help! 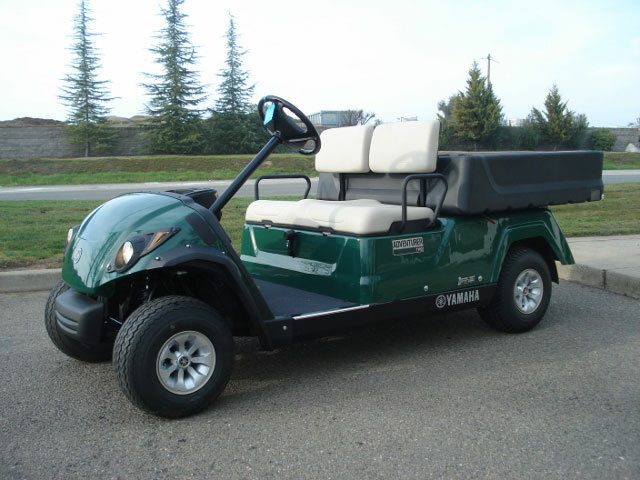 Below are images of utility & transportation vehicles we have produced in the past. 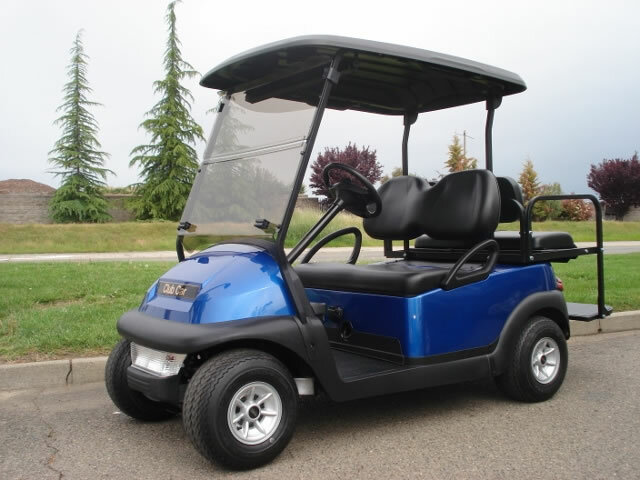 Please visit our Inventory pages if you are looking for in-stock cars. 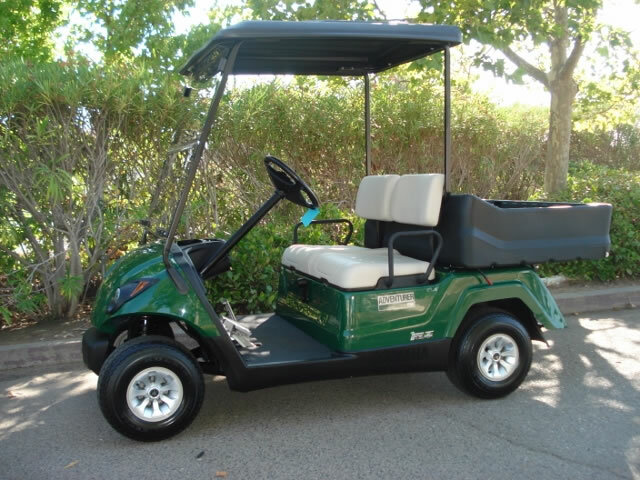 Please mouse-over images for details — chain icon opens detail page and magnifying icon shows larger image. 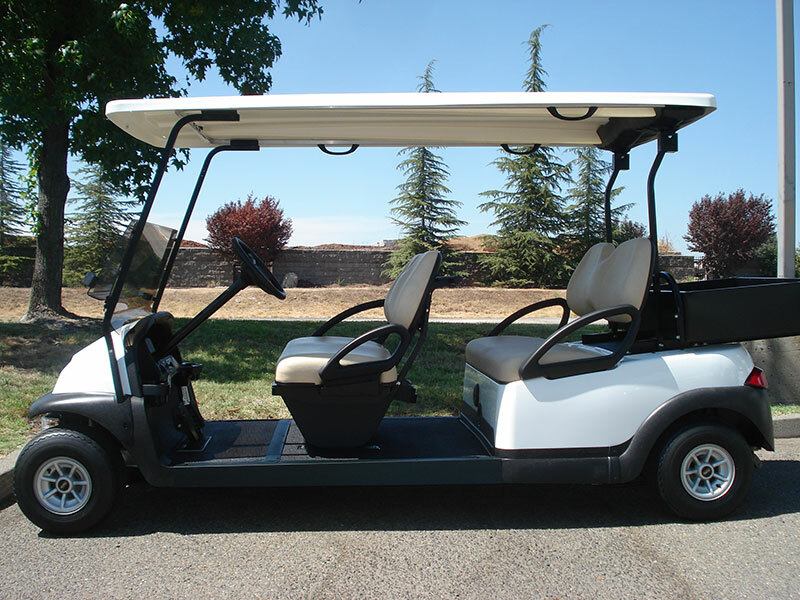 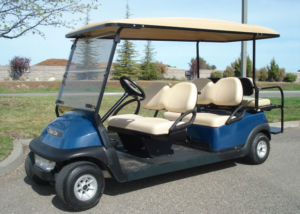 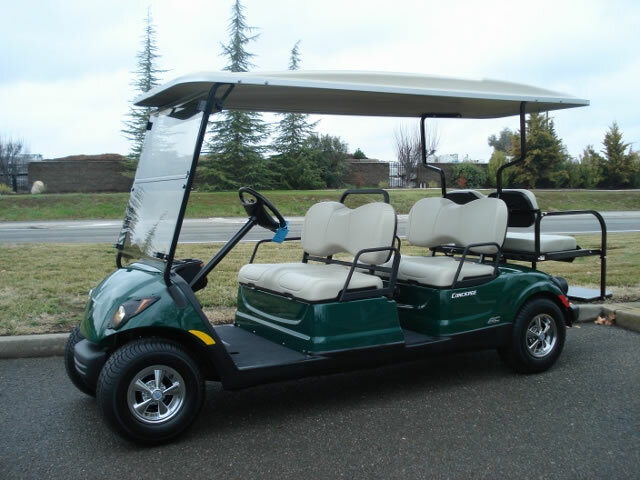 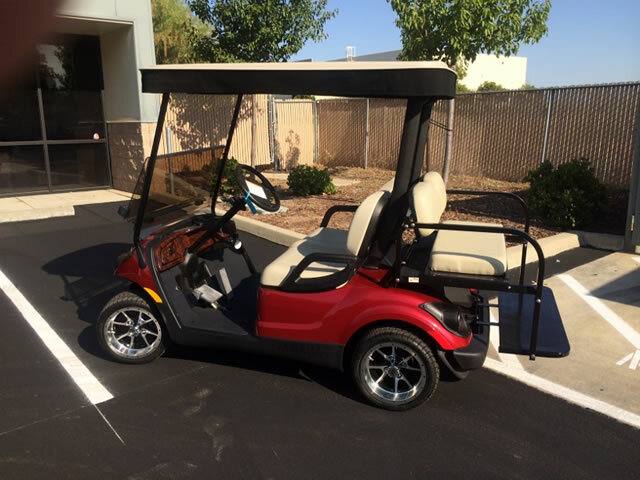 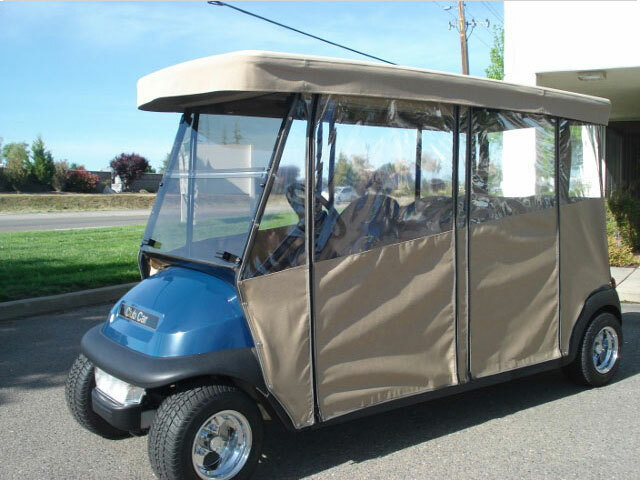 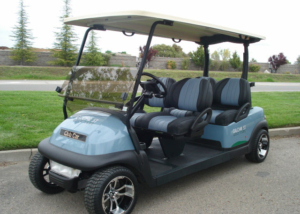 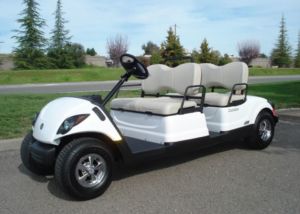 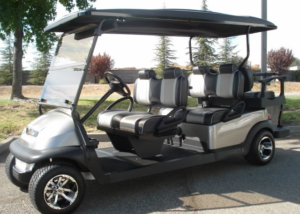 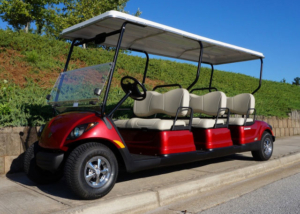 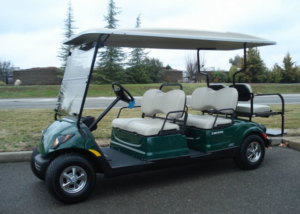 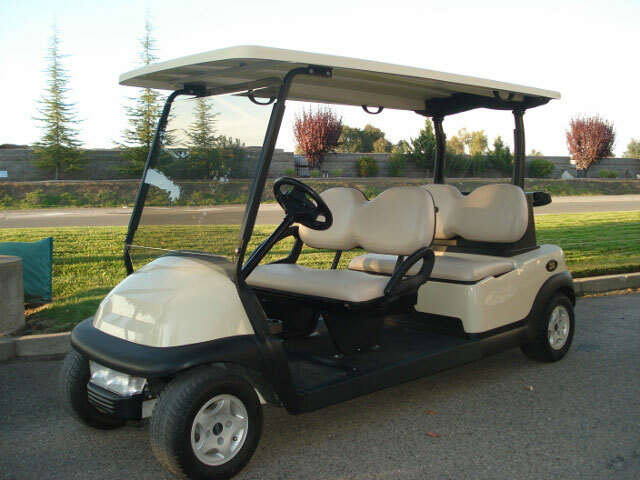 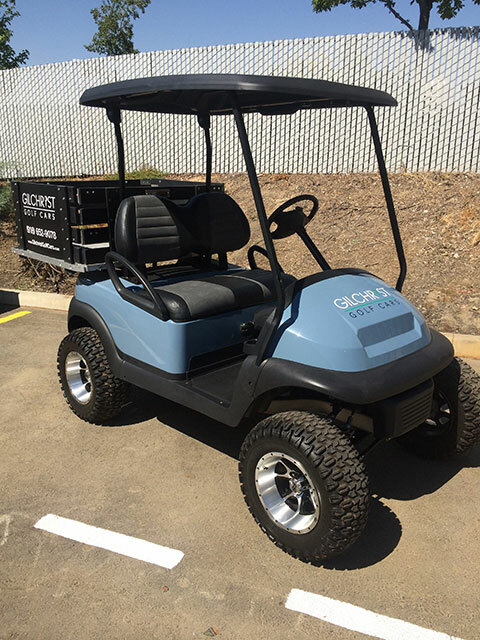 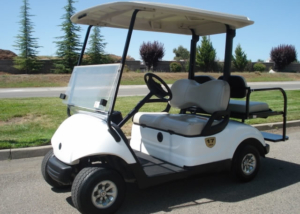 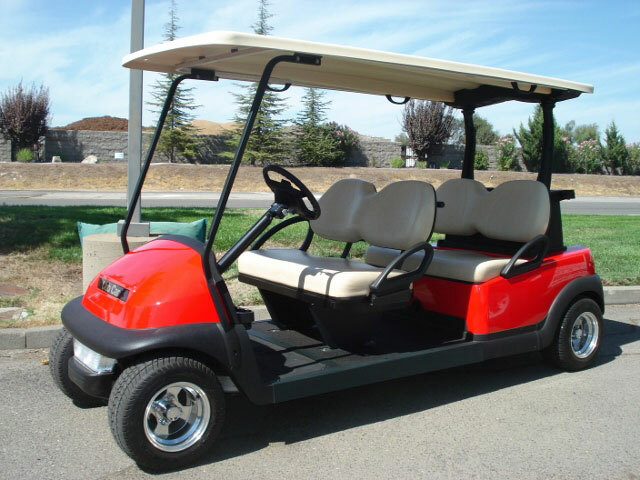 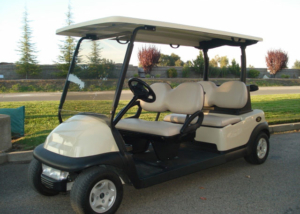 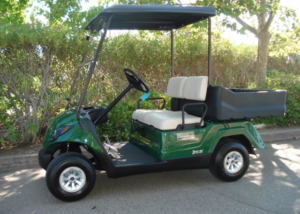 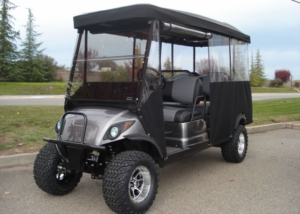 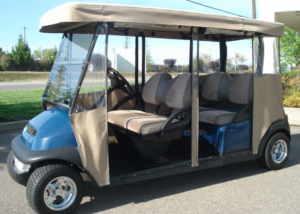 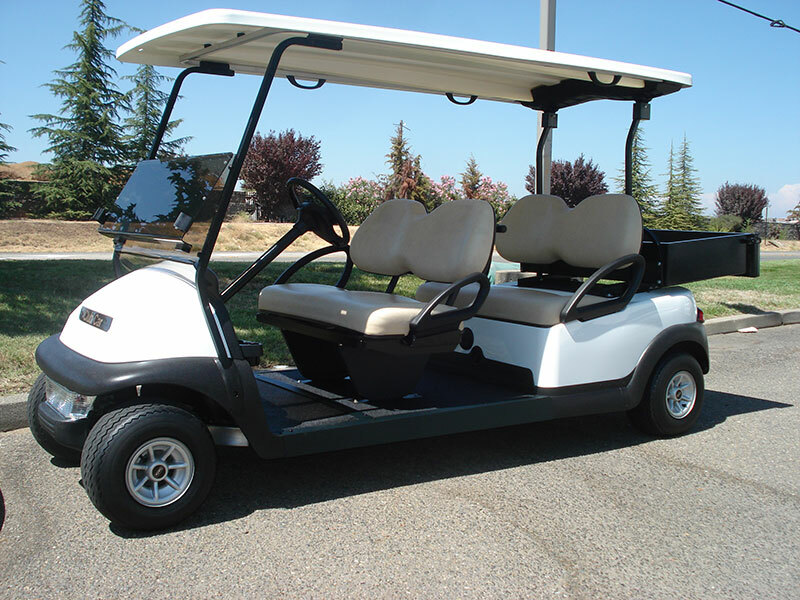 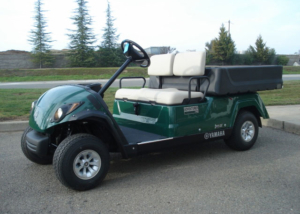 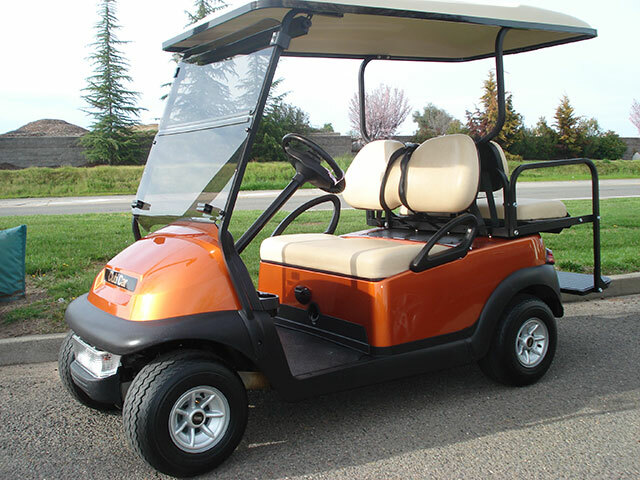 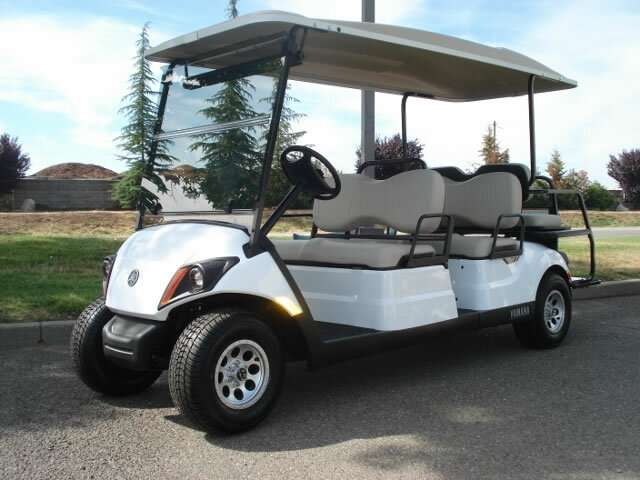 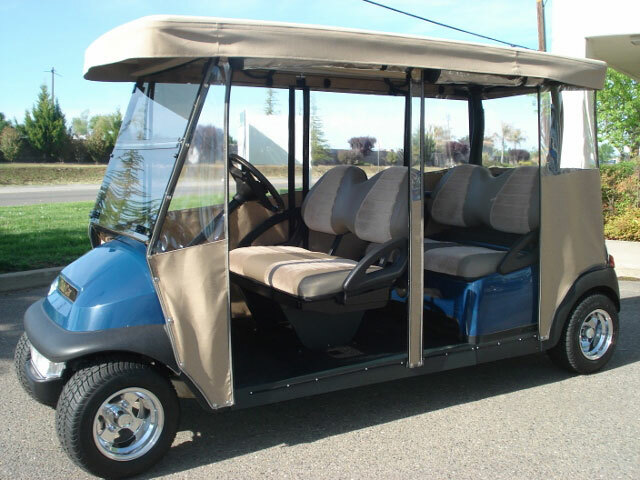 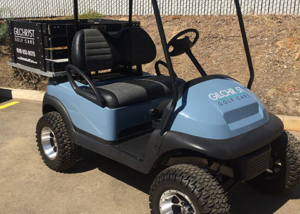 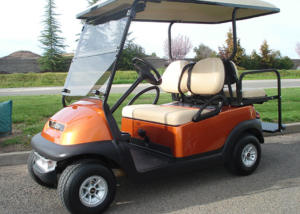 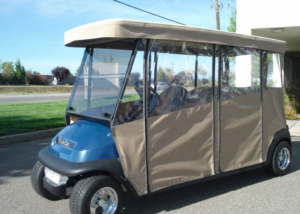 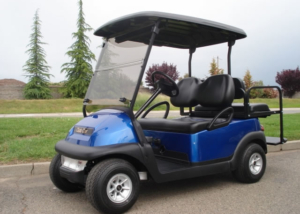 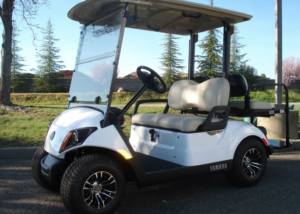 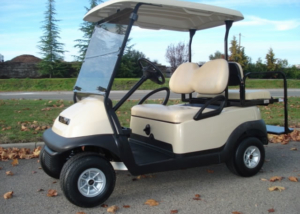 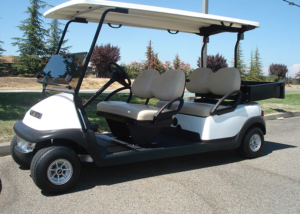 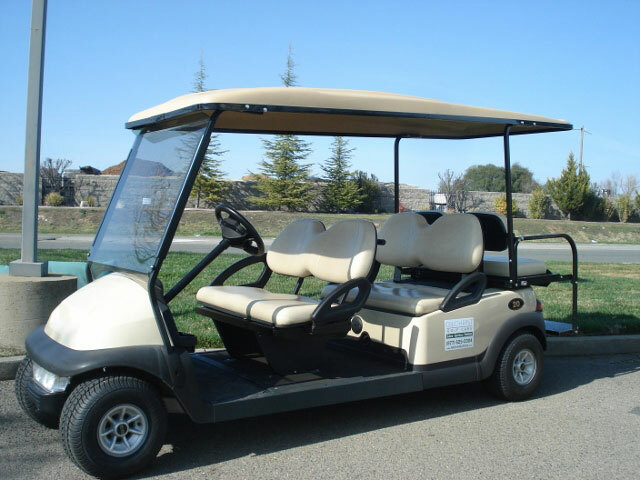 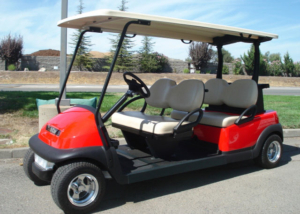 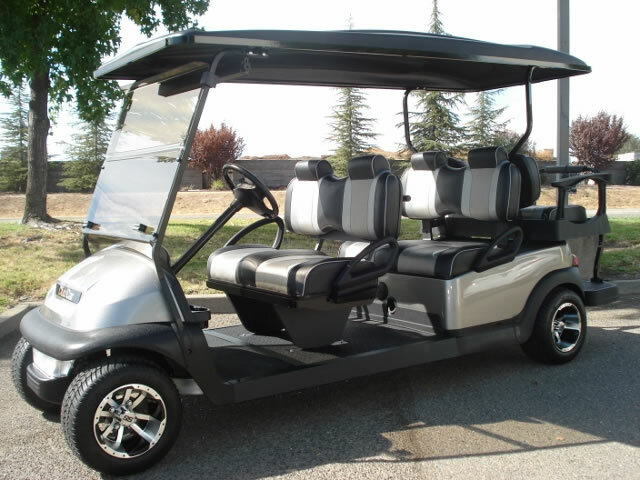 We offer our clients the best of the utility golf cart options available, and provide sales, rentals, and service throughout the greater Sacramento Metropolitan Area including Elk Grove, Davis, Orangevale, Rancho Cordova, Rocklin, Roseville, Yuba City, and Woodland.